I’ve been involved with this brand for quite some time because I truly stand behind their ethos. I am passionate about their involvement with nature, sustainability, being eco-friendly and beyond. 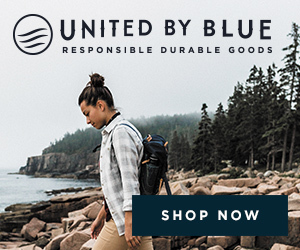 I’ve found the quality of their clothing to be lovely, and I love that the company unites the world on their mission, by organizing clean ups and beyond. With summer on the horizon and wardrobe updates in sight, I’ve starting playing around with some items from United By Blue’s summer catalogue, and found some great and simple staples that I can wear daily. Okay, and I may have picked up some cool printed enamel mugs along the way. But the tshirts are solid essentials, and if anyone is interested in participating in a clean up, here’s the schedule.